On 28 February 1942, Juventus keeper and Italian national team captain Dino Zoff was born in the northeastern Italian town of Mariano del Friuli. In a poll conducted by the International Federation of Football History and Statistics, Zoff was voted the third best goalkeeper of the 20th Century, behind the Soviet Union's Lev Yashin and England's Gordon Banks. After a rough start to his career in 1961 with his first club, Udinese, Zoff spent time with Mantova (1963-67) and Napoli (1967-72) before finally landing at Juventus, where he would establish himself as Italy's greatest goalkeeper. With Zoff in goal, the Bianconeri won six Scudettos between 1973 and 1982, as well as two Coppa Italia trophies (1979, 1983) and the UEFA Cup (1977). His greatest achievement, however, came with the Italian national team. 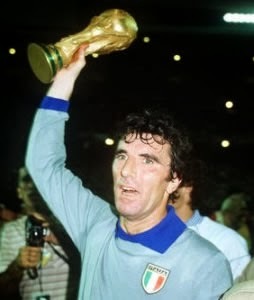 He received his first cap in 1968 while he was still with Napoli, but while the team won that year's European Championship, Zoff was not selected for the 1970 World Cup. After his move to Juve, he established himself as an Azzurri stalwart. After a disappointing first-round exit in 1974, Italy finished in fourth place for the 1978 World Cup, followed by another fourth-place finish in the 1980 European Championship. Zoff captained Italy for the 1982 World Cup, guiding them to their third title with a 3-1 win over West Germany in the Final. Along the way, they had to pass through the second-round "group of death" with Argentina and Brazil, but the Azzurri won both of those matches to eliminate the South American powers. He retired from playing in 1983, then joined Juventus as a coach. In 1988, he took the reins as manager, but was unsuccessful, getting sacked by his old club in 1990. After several brief spells at Lazio (1990-94, 1996-97, 2001), and one with the Azzurri (1998-2000), he made his last stop as manager of Fiorentina (2005), before retiring from the sport for good. Labels: Dino Zoff, Italy, Juventus F.C. On 27 February 1900, eleven football players in Munich split from their previously-existing sports club to form FC Bayern Munich. The new club would go on to become one of Europe's most successful clubs, winning a record 23 German league titles, a record 16 German Cup, and eight European titles. They dominated the Bundesliga from the '70s onward, winning 20 of their 21 league titles and 10 of their German Cup trophies between 1971 and 2008. They also established their European credentials with three consecutive European Cup trophies from 1974 to 1976. 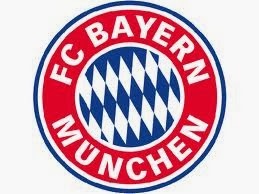 Still successful, they are the reigning Bundesliga and Champions League title holders. On 26 February 1973, Manchester United supersub and current Cardiff manager Ole Gunnar Solskjær was born in Kristiansund, Norway. Nicknamed "the babyfaced assassin" for the combination of his youthful appearance and deadly finishing, the striker began his professional career in 1990 with his hometown club Clausenengen in the Third Division. In 1995, after scoring 116 goals for them in 109 appearances, he moved to the top flight with Molde, but spent only two seasons there before joining Manchester United in July 1996. In his first appearance for United, he came on as a 65th-minute substitute in a Premier League match against Blackburn Rovers. 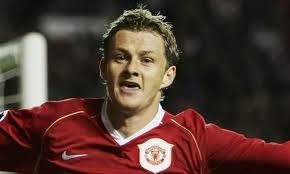 United were losing 1-2, but Solskjær scored in the 70th minute to earn a point for his new team. He continued to display late-game heroics throughout his career there, including scoring the stoppage-time winner in United's 2-1 victory over Bayern Munich in the 1999 Champions League final. He spent eleven seasons at Old Trafford, scoring 126 goals in 366 appearances across all competitions before a knee injury forced his retirement in August 2007. In 2008, he moved into management, taking charge of the Manchester United reserves, then becoming the manager of Molde in November 2010, winning league titles in 2011 and 2012 and the Norwegian Cup in 2013. He returned to the Premier League in January 2014 as manager of Cardiff City. 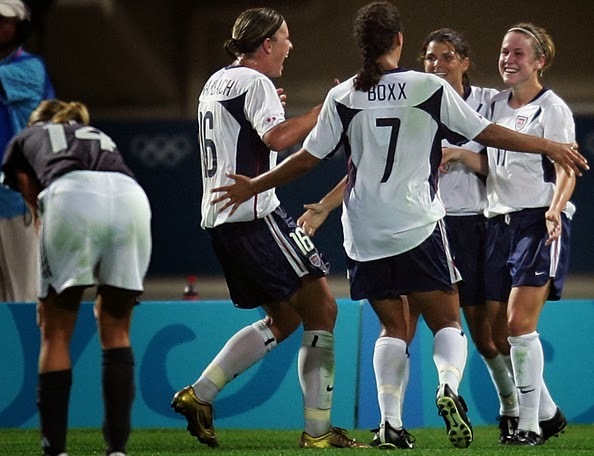 On 24 February 2004, the US women opened their Olympic qualification campaign by beating Trinidad and Tobago 7-0. They went on to win their second gold medal. After winning the competition in 1996, they finished in a relatively disappointing second place in 2000, losing 3-2 to Norway in the final. That was followed by a third-place finish at the 2003 World Cup, creating questions whether the once-dominant US women would be able to regain their former standing in the sport they helped popularize. Kicking off their Olympic campaign against Trinidad and Tobago in Costa Rica, the Yanks rolled to a comfortable 7-0 victory thanks in part to Shannon Boxx's first international hat-trick (22', 37', 81'), a brace from two-time FIFA World Player of the Year Mia Hamm (41', 44'), and goals from Kristine Lilly (25') and Abby Wambach (42'). They kept up the pace through qualification, going undefeated and outscoring their opponents 19-0, then sailed undefeated through the tournament itself. On 24 February 2004, Arsenal beat Celta Vigo 2-3 in the Champions League with players named Edu scoring for both sides. The meeting came in the Round of 16, with Celta hosting the first leg. Although Arsenal were in the midst of an unbeaten league season, they had never won a game in Spain under manager Arsène Wenger. They took an early lead, however, when their Brazilian midfielder Edu scored in the 18th minute. The lead lasted only nine minutes, though, as Celta's own Brazilian Edu brought the hosts level. Then, in the 58th minute, Arsenal's Edu struck again to restore the lead, followed by another quick equalizer, this time by Celta Vigo midfielder José Ignacio in the 64th minute. The visitors finally captured the lead for good with an 80th-minute strike from Robert Pirès. Neither Edu scored in the second leg, which the Gunners won 2-0 to advance 2-5 on aggregate. They went on to lose to Chelsea in the quarterfinals, but consoled themselves by winning the league. On 23 February 2008, Arsenal striker Eduardo suffered an injury that put him out for a year and possibly derailed the club's season. At the time, Arsenal were at the top of the table, riding a ten-game unbeaten streak that had seen them take 26 of 30 available points to pull five clear of Manchester United. Eduardo, playing in his first season since moving from Dinamo Zagreb in July, had made sixteen league appearances, mostly as a substitute, but was rounding into form after Christmas. The Gunners were away at Birmingham City when, in the third minute, a challenge from Blues captain Martin Taylor snapped Eduardo's left fibula and dislocated his left ankle. The injuries were so graphic that the BBC declined to show replays of the incident, while players from both teams were visibly distraught at the sight. Medical staff took the striker directly to the hospital. The match eventually resumed and played out as a scoreless draw, with neither team showing much inspiration to continue. It was the first of four consecutive league draws for the Gunners, who took only three points from their next four matches and slipped down to third, which is where they finished the year. Eduardo returned the following February, but made only four appearances that season, though he scored three times. He eventually moved to Shakhtar Donetsk in July 2010. That October, he returned to the Emirates with his new team in the Champions League and scored his team's only goal in a 5-1 loss, drawing applause from the home supporters. On 22 February 1913, Arsenal publicly revealed their decision to relocate from South London to North London. Established in 1886, Arsenal spent the majority of their early years at the Manor Ground in Plumstead, southeast London. But after the turn of the century, attendances started to decline, placing the club into a difficult financial position. Majority shareholder Henry Norris (pictured) led the search for a new ground, eventually choosing the Highbury neighborhood in the North London district of Islington and publicizing the decision in the newspapers. Despite objections from Highbury residents and the club's own supporters, Arsenal completed the move over the summer of 1913, moving into the new Arsenal Stadium that had been designed by Archibald Leitch and built at a cost of £125,000. In their first season there, their average attendance was 23,000 per match, more than doubling the average of 11,000 from the previous season. The move also created the North London Derby, Arsenal's rivalry with Tottenham Hotspur, who were there when the Gunners arrived. The club remains in Islington, but moved a short distance to Holloway in 2006 for the new Emirates Stadium. On 21 February 1958, Manchester United star Duncan Edwards died from injuries sustained when the team's plane crashed in Munich. He was 21 years old. The left half had been with the club for just under six years, joining them as a youth player in June 1952, then signing a professional contract the following year later. 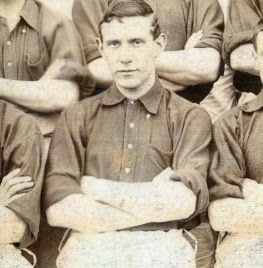 Manager Matt Busby gave him his first-team debut in a home league match against Cardiff City. Edwards was only 16 years and 185 days old at the time, making him the youngest player to appear in England's top flight up to that point. United lost the match 4-1, but Edwards blossomed into a rare talent, with many observers counting on a great future for him. Teammate Bobby Charlton, winner of the 1966 Ballon d'Or, later said that Edwards was the only player that made him feel inferior. 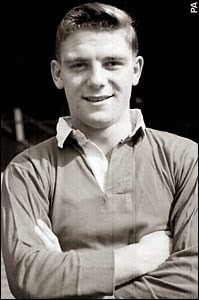 He quickly became a feature in the United senior side, making 24 league appearances in 1953-54, then featuring in almost all of their games after that. In April 1955, he set another age record when he made his first appearance for England at the age of 18 years, 183 days. He went on to earn 18 caps over the next three years. Tragically, his career was cut short when United's team plane, bringing them home from a European Cup match against Red Star Belgrade, crashed in Munich on 6 February 1958. Seven players died instantly, while Edwards and manager Matt Busby were rushed to the hospital with critical injuries. Busby eventually recovered, but Edwards died just over two weeks later on 21 February. Labels: Duncan Edwards, Manchester United F.C. 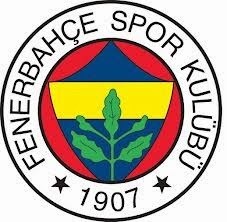 On 20 February 2005, Fenerbahçe matched their record scoreline, beating Kayserispor 7-0. The club had hit that margin four times previously, first in a 7-0 win over Denizlispor in the 1984-85 season, followed by a pair of 8-1 victories over Samsunspor (in 1993-94) and Kayserispor (in 1994-95) and another 7-0 win over Denizlispor in 1996-97. In February 2005, they were challenging for the league title, sitting one point behind leaders Galatasaray with a game in hand when they hosted Kayserispor, who were in seventeenth place out of eighteen teams. Fenerbahçe took some time to get going, taking a 1-0 lead into the break with a goal from Ümit Özat (23'). But they rolled in the second half, with strikes from Alex (56'), Tuncay Şanlı (59'), Mert Nobre (68', 70'), Mehmet Aurélio (81'), and Serhat Akin (89'). In addition to scoring, Alex notched two assists, with Mehmet Aurélio and Özat had one each. The win propelled Fenerbahçe to the top of the table, where they remained for the rest of the season to capture their sixteenth league title. On 19 February 1986, five-time World Player of the Year Marta was born in Dois Riachos, Brazil. A forward, she started her career at the age of 14 with Vasco da Gama, but the women's team folded after her second season there, prompting her 2002 move to Belo Horizonte to play for Santa Cruz. In 2004, she left Brazil for Sweden, joining the reigning UEFA Women's Cup holders Umeå IK and, in her first season, helped them successfully defend their title. She won back-to-back league titles with Umeå in 2005 and 2006, leading to the first of five consecutive World Player of the Year awards. After winning two more league titles in 2007 and 2008, she moved to the United States to play for the Los Angeles Sol in the inaugural season for the new league, WPS. Despite winning the title, Los Angeles folded after one year, prompting Marta's transfer to FC Gold Pride in 2010, then to the Western New York Flash in 2011, winning titles with both. Since 2012, she has played for Tyresö in Sweden. Along the way, she has scored 73 goals in 88 appearances for Brazil. On 18 February 1896, Liverpool beat Rotherham Town by the record margin of 10-1. Back in Division Two after a season in Division One, Liverpool were pushing hard for a return to the top flight. They had been battling Manchester City for the top spot in the table since January and were sitting one point back when they hosted Rotherham, despite having already played one match more than the Blues. They had beaten Rotherham 0-5 away seven weeks earlier, so the return fixture never appeared to be in doubt. But few expected the day to unfold as it did, with the hosts taking a three-goal lead in the first eight minutes. Center forward George Allan scored four by the final whistle, with Malcolm McVean adding a hat-trick. Captain Jimmy Ross got a brace and Frank Beacon also netted to give the Reds a 10-1 victory. At the time, it was Liverpool's largest margin of victory. They later surpassed it with an 11-0 win over Strømsgodset in the Cup Winners' Cup in 1974, but the Rotherham scoreline remains the club's largest margin in a league match. Liverpool went on to win the division and returned to the top flight, beating Manchester City to promotion by virtue of goal differential. 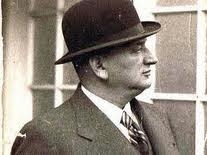 On 17 February 1937, Hugo Meisl, who built Austria into one of the dominant sides of the 1930s, died of a heart attack. He was 55. The son of a successful banker, Meisl was training to follow in his father's footsteps when he opted instead to pursue a career in football, working as a referee and taking a position with the Austrian Football Association. In 1912, at the age of 31, he became the manager of the national team, starting his tenure with a 1-3 victory over Italy that December. Apart from a break for service during World War I, he remained in charge of Austria for the next twenty-five years. Their greatest period came during the early 1930s, when they enjoyed a 14-match unbeaten run. Christened the "Wunderteam," that Austrian side dominated European competition, led by their talismanic center forward Matthias Sindelar. They entered the 1934 World Cup as favorites, but lost to eventual winners Italy in the semifinals, 1-0. They also lost to Italy in the gold-medal match of the 1936 Olympics, denying Meisl the silverware to match his team's potential. His last game in charge was a 2-1 win over France in January 1937. Just over three weeks later, while preparing to face Italy in the Central European International Cup, he suffered a heart attack and died. During his time in charge of Austria, the team compiled a record of 71 wins, 30 draws, and 32 losses. On 16 February 1994, France kicked off a record 30-game unbeaten streak with a 1-0 win over Italy. After finishing third at the 1986 World Cup, Les Bleus had struggled, failing to qualify for either the 1990 or 1994 tournaments. Their campaign for the latter ended in November 1993 with a loss to Bulgaria, who finished one point ahead of France to claim the group's final qualification spot. After that game, the French Football Federation sacked manager Gérard Houllier and gave the job to his assistant, Aimé Jacquet, on a temporary basis. 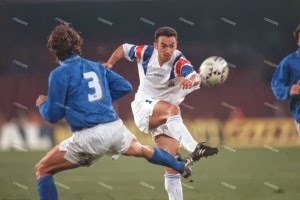 Jacquet's first match in charge was the February 1994 friendly against Italy, played in Napoli. France had not beaten the Italians on their home soil since 1912, losing nine of their ten matches there after that. But that poor run ended when Monaco midfielder Youri Djorkaeff scored the day's only goal to give his team the 1-0 victory. France followed that win with a string of 29 unbeaten matches to set a team record. Although that run included Euro 1996, they did not lift the trophy, drawing with the Czech Republic in the final, then falling on penalties. They remained officially unbeaten until a 1-0 away loss to Denmark in November 1996. Jacquet eventually became the manager on a permanent basis and went on to guide the team to victory in the 1998 World Cup. On 15 February 1993, Ajax striker Dennis Bergkamp agreed to a £7.1 million move to Inter, but stayed there for only a couple of disappointing seasons. For the previous six and a half years, he had starred in Amsterdam, scoring 22 goals in 237 appearances across all competitions and winning a handful of silverware, including the 1987 Cup Winners' Cup, the 1990 Eredivisie title, and the 1992 UEFA Cup. He was also the league's top scorer from 1991 to 1993 and a two-time Dutch Footballer of the Year. With several clubs pursuing him, he decided to move to Inter, accepting their offer in February for a move at the end of the season. But although he shined in cup competitions and helped the club win the UEFA Cup in 1994, the club struggled during his time there, hindered by a rotating cast of managers, and managed to score only 11 league goals in 52 appearances. In 1995, he moved to Arsenal for £7.5 million, with new Inter owner Massimo Moratti saying the Gunners would be lucky to get ten goals from him in the coming season. Bergkamp, however, went on to become an Arsenal legend, leading the club to three league titles and four FA Cups, while scoring 120 goals in 423 appearances. On 14 February 2005, Arsenal fielded the first all-foreign side—including subs—in English football history and won 5-1. Arsenal, the defending league champions, were hosting newly-promoted Crystal Palace. Their team sheet included players from eight different countries, but not a single one from the United Kingdom. France had the most with six (Thierry Henry, Patrick Vieira, Robert Pires, Gael Clichy, Pascal Cygan, and Mathieu Flamini), followed by Spain with three (José Antonio Reyes, Cesc Fabregas, and Manuel Almunia) and the Netherlands with two (Dennis Bergkamp and Robin van Persie). The other countries included Germany (Jens Lehmann), Cameroon (Lauren), Ivory Coast (Kolo Toure), Brazil (Edu), and Switzerland (Philippe Senderos). It wasn't much of a contest, as the Gunners were up 3-0 at the break with goals from Bergkamp (32'), Reyes (35'), and Henry (39'). Vieira added a fourth (54') before Crystal Palace finally got on the board when Andrew Johnson struck from the penalty spot (63'), then Henry scored again (77') to seal the final 5-1 margin. 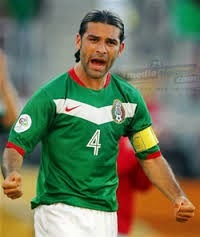 On 13 February 1979, Rafael Márquez was born in Zamora and went on to make over 100 appearances for Mexico. Originally a center back, Márquez started his professional career with Atlas in 1996, making 77 appearances in Mexico's Primera División over three years and helping them reach the final of the 1999 Verano tournament. His performances for Los Zorros attracted the interest of Monaco, who then signed him for a fee of €7 million. In his first season with Monaco, he made a total of 31 appearances and won the Ligue 1 title. He stayed there for three more years, then moved to Barcelona in 2003. In seven seasons there, playing as a defensive midfielder, he won four league titles and became the first Mexican player to lift the Champions League trophy, winning it in 2006 and 2009. He followed Barcelona with a difficult three-year spell in New York and, in 2013, returned to Mexico to play for León. Along the way, he earned 115 caps with Mexico, twice winning the CONCACAF Gold Cup (2003, 2011) and one Confederations Cup (1999). On 12 February 2012, defending Ligue 1 champions Lille battled back from a 1-4 deficit against Bordeaux only to lose 4-5 to a stoppage-time goal from a former player. At the time, Lille were chasing the top spot, sitting in third, ten points behind co-leaders Montpellier and Paris Saint-Germain (though the former had played two games more than Lille and the latter had played one more). Bordeaux, meanwhile, were back in ninth when they visited the Stadium Lille Métropole, but had drawn 1-1 with Lille at home in September. It took just under two minutes for Bordeaux to take the lead with a goal from midfielder Nicolas Maurice-Belay, but Lille defender David Rozehnal equalized in the eighth minute. Nine minutes later, Bordeaux pulled back ahead with a goal from Ludovic Obraniak, who had joined them from Lille just one month earlier. By the hour mark, they had extended their lead to 1-4 with goals from Maurice-Belay (50') and Yoan Gouffran (60'). Lille stormed back in the final thirty minutes with strikes from Eden Hazard (65'), Mathieu Debuchy (75'), and Nolan Roux (90') to claim what looked to be a near-certain point. But Obraniak scored again in the third minute of stoppage time to steal the victory for his new team. Bordeaux went on to finish the season in fifth place, while Lille remained third in the final table. 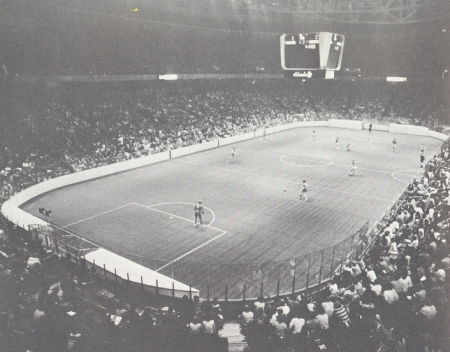 On 11 February 1974, the Philadelphia Atoms battled the USSR in a game that sparked the growth of indoor soccer in the US. Dating back to the early 1900s, the indoor game had a long history in the United States and had grown popular enough by the 1950s to see the American Soccer League hold regular indoor tournaments. But it was still something of a minor curiosity going into the 1970s. That changed in February 1974, when the Soviet Red Army team visited North America for a pair of exhibitions. They played the first in Toronto on 7 February against a hastily-assembled NASL All-Star team and won 8-4 in a game that wasn't as close as the score indicated. For their second, they traveled down to Philadelphia to meet the reigning NASL champions, the Atoms. A crowd of almost 12,000 turrned up at the Spectrum, where Astroturf had been lain over the ice hockey surface (and like hockey, the game was played in three periods of twenty minutes each). The hosts took a 1-0 lead, then kept it close into the third period, level at 3-3. But the Soviets dominated that final period to end with a 6-3 victory. One of the spectators present for the game was Ed Tepper, who went on to co-found the Major Indoor Soccer League, which ran from 1978 to 1992 in its first incarnation, then started again in 2001 and remains currently active. On 10 February 1991, Zinedine Zidane scored his first professional goal to help Cannes beat Nantes. 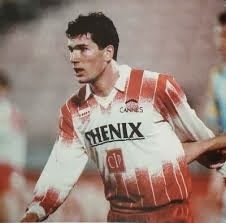 Nineteen years old at the time, Zidane had been with Cannes since joining them as a youth player in 1986. He signed a professional contract with them in 1989 and made his first-team debut against Nantes that May, one of only two appearances that season. He didn't play for the first team at all the next season, but featured regularly in 1990-91, making a total of 31 appearances across all competitions. His only goal, though, came in a 2-1 league win over Nantes. Afterward, club chairman Alain Pedretti gave Zidane a car, honoring a promise he'd made to the midfielder for his first scoring strike. Zidane left Cannes for Bordeaux in 1992, then spent time with Juventus (1996-2001) and Real Madrid (2001-06) while becoming one of the world's greatest players. He went on to score a total of 125 goals in 681 career club appearances, while winning the Ballon d'Or in 1998 after leading France to victory in the World Cup. On 9 February 1972, the Miami Gatos made Alain Maca the first draft pick in NASL history. Started in 1968, the league already had four seasons under its belt, but the crowds remained small, with average per-game attendances of around 3,000 to 4,000 each year. Believing that an increase the number of American players would increase its popularity, the NASL established a draft for college players starting in 1974. The first pick in the first draft went to the Gatos, who were starting their first season in Miami after relocating from Washington, DC (where they were known as the Darts). They chose Maca, a 21-year old defender from SUNY Brockport who was a two-time All-American and MVP of the 1970 NCAA Regional Tournament. He was also the son of former US international Joe Maca, who played at the 1950 World Cup. Maca played with Miami for only one season, making 11 appearances, before transferring to the Baltimore Bays (1973) and the Washington Diplomats (1974-76), then ending his career with second-division New York Apollo (1978-79). Along the way, he also earned five caps for the United States. The draft didn't do much to impact attendances, which started taking off only after the influx of foreign superstars like Pelé and Franz Beckenbauer in the late 1970s. 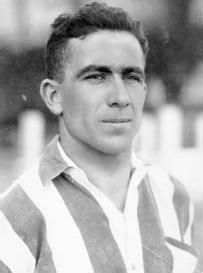 On 8 February 1931, Athletic Bilbao's Agustín Sauto Arana scored seven goals against Barcelona to set a La Liga record. Better known by his nickname "Bata," the 22-year old striker had joined Bilbao from Barakaldo during the previous season, scoring only once in seven appearances. Despite his modest production, the club won a league and Copa del Rey double. The league title was their first, finishing seven point clear of runners-up Barcelona, while getting a league-high 20 goals from Guillermo Gorostiza. 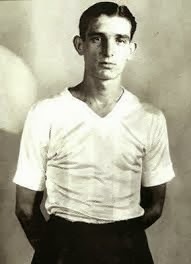 Gorostiza returned for the 1930-31 season, but Bata stole the spotlight, winning the Pichichi with 27 goals (Gorostiza finished second with 17). Seven of Bata's goals came in a 12-1 win over Barcelona, setting a league record that remains unbroken, though Barcelona's Laszló Kubala matched it in February 1952. 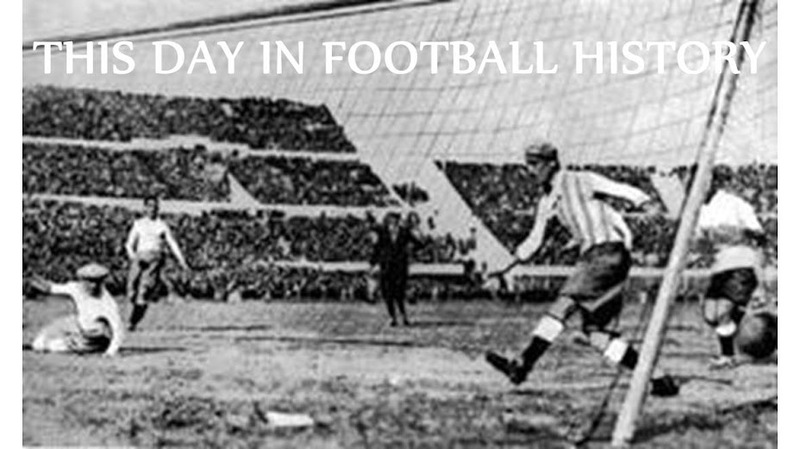 Bilbao went on to capture another double in 1931-32, with Bata getting 13 league goals to retain the scoring title. He won another two Copa del Rey trophies (1932, 1933) and two more league titles (1934, 1935) before play was suspended in 1936 for the Spanish Civil War. When football resumed in 1939, he had moved back to Barakaldo, where he remained until his retirement in 1943. On 7 February 1925, Albert Pape traveled to Manchester as a Clapton Orient player, but ended up scoring against them as a United player. The forward had been with Orient since the start of the season, scoring 11 goals in 24 appearances. In February, he was with the team as they were preparing to make the trip up to Old Trafford. But before they left London, Orient boss Peter Proudfoot received a phone call from United manager John Chapman with an offer for Pape. The teams agreed to a fee of £1,070. Then, when the train arrived in Manchester, Pape met with United officials to agree to personal terms. He joined his new team just a few minutes before kick-off and got off to a good start, scoring the third goal in United's 4-2 win. 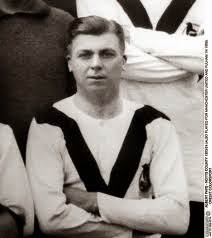 Although one newspaper later called the deal "one of the greatest transfer hustles of all time," Pape made only 18 appearances and scored five goals as a United player before moving to Fulham at the start of the 1925-26 season. 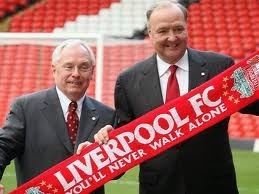 On 6 February 2007, Tom Hicks and George Gillett started their short and tempestuous reign as Liverpool's owners. The pair already had a porfolio of sports teams in hockey and baseball, with Hicks owning the Dallas Stars and the Texas Rangers baseball team, while Gillett owned the Montreal Candiens. They joined forces to acquire Liverpool, paying £5,000 per share for a total of £174.1 million (additional club debt of £44.8 million pushed the overall valuation of the club to £218.9 million). They also pledged to invest significant additional funds. The deal, however, was leveraged and saddled the club with substantial debt, drawing the ire of the club's supporters. The two co-chairmen soon fell out with each other and Hicks also participated in public spats with manager Rafa Benítez and chief executive Rick Parry. Even though Liverpool continued to challenge for the title, including finishing as runners-up to Manchester United in 2009, Hicks and Gillett were constantly under pressure from supporters and the media. The pressure mounted in the 2009-10 season, which ended with Liverpool in seventh, the first time they had fallen out of the league's top four since 2005. Their tenure came to an end in October of 2010, when, over Hicks's protests, the club's board of directors voted to sell the club to New England Sports Ventures for around £300 million. Hicks filed suit against the club, claiming that the deal was far lower than it should have been, but lost. Speaking about Hicks and Gillett in a 2013 interview, Parry said "We all wish passionately that they hadn't owned the club." 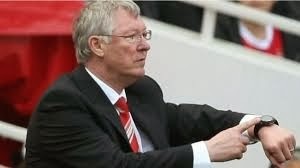 On 5 February 2002, Manchester United manager Alex Ferguson announced that he had changed his mind about retiring at the end of the season and ended up staying with the club for another eleven years. When he took charge of the club in November 1986, they were sitting twenty-first out of twenty-two teams in the top flight and had gone without a league title since 1967 (though they won the FA Cup in 1985). Ferguson quickly turned their fortunes around, winning the league seven times between 1993 and 2001, as well as four FA Cups and the 1999 Champions League trophy (part of a treble that year). In May 2001, at the age of 59, he announced his intent to retire. The decision came after disagreements with United's board of directors over his compensation, but he also cited concerns about his health. Subsequent negotiations with the board postponed his departure until the end of the 2001-02 season. But by the end of December 2001, he had changed his mind. He opened new contract discussions with the board while keeping his change of heart a secret from the team and the public. Then, in February 2002, he informed United's players that he was staying. He remained with the club until the end of the 2012-13 season, collecting another six league titles, another FA Cup, and another Champions League trophy. Labels: Alex Ferguson, Manchester United F.C. 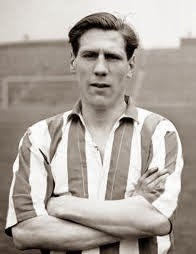 On 4 February 1948, Len Shackleton moved from Newcastle to Sunderland for a record fee of £20,500 and went on to become a star at his new club. Twenty-seven years old at the time, Shackleton, who played both inside forward and outside left, had turned professional in 1939 with Bradford Park Avenue, but lost several years to World War II. He returned to Bradford when league play resumed in 1946, but moved to Newcastle in 1946. On his debut there, he scored six times as Newcastle beat Newport County 13-0. Skilled on the ball, he would often tease opposing players by beating them, then waiting for them to recover before beating them again. That flair for showmanship earned him the nickname "the clown prince of football," but also created a rift between him and the club. After two seasons, they sold him to rivals Sunderland for what was then a British-record transfer fee. At Sunderland, he went on to score 101 goals in 348 league appearances before an ankle injury forced his retirement in September 1957. Labels: Len Shackleton, Newcastle United F.C., Sunderland A.F.C. On 3 February 1929, the New York Nationals won the Lewis Cup over New Bedford, beating them 4-2 in a playoff. The Nationals had been created in 1927, when owner Charles Stedham (who also owned the New York Giants baseball team) bought and rebranded an older team, Indiana Flooring. In that first season, they won the National Challenge Cup, the predecessor to the US Open Cup. They got off to an equally impressive start in their second season, 1928-29, finishing third in the first-half standings and advancing to the final of the Lewis Cup, which served as the league cup for the American Soccer League. There, they lost the first leg to New Bedford, 3-2, then won the second leg 2-1, to set up a decisive single-game playoff, played at Hawthorne Field in Brooklyn. After a scoreless first half, New Bedford took the lead with a 46th-minute goal from former Everton star Sam Chedzgoy. 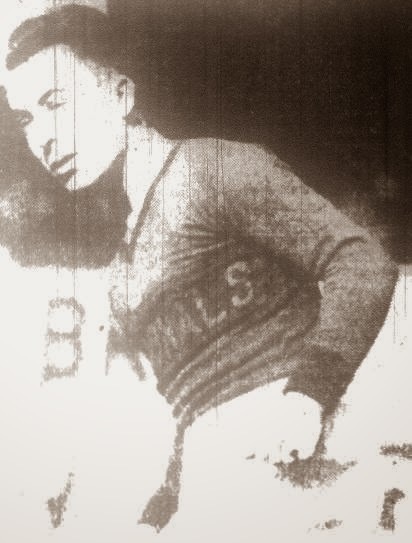 But midfielder Jimmy Gallagher (pictured), who had been with the Nationals since 1925 when they were still called Indiana Flooring, scored a hat-trick between the 56th and 73rd minutes, followed by a goal from striker Johnny Nelson as the Nationals went on to win 4-2 (Sam Kennedy was the other scorer for New Bedford). It turned out to be the last trophy for the Nationals, who became the New York Giants in 1930, though they won the league title under their new name in 1931 before withdrawing from the ASL in 1932. 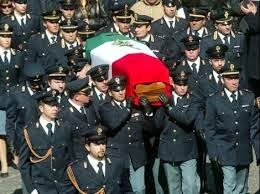 On 2 February 2007, policeman Filippo Raciti died from injuries sustained in a riot after the Sicilian derby. Hooliganism had been on the rise in Italian football after the Calciopoli match-fixing scandal broke the previous year, resulting in relegation for Juventus and points deductions and other penalties for a handful of other clubs. But the groups of supporters, called ultras, directed the violence at the police rather than each other. The situation came to a head when Palermo visited Catania in February. A fierce rivalry under normal circumstances, tensions were exacerbated by the fact that both teams were challenging for European qualification spots. In addition, the game was played at night to accommodate the television schedule, allowing the aggression to build up over the day. Fighting broke out in the stands after Palermo took the lead, prompting the police to use tear gas, which stopped the game for 30 minutes. Catania leveled shortly after play resumed, but Palermo scored again for the win. Afterward, a group of ultras turned on the police, attacking them with fireworks, metal pipes, and even a broken sink taken from one of the stadium's restrooms. Raciti, who suffered blunt force trauma to his liver, was rushed to the hospital, but died later that day. The Italian Football Federation canceled all matches for the following week, then instituted a series of reforms to stem the violence. The precursor to the Copa América, the tournament consisted of six teams, with each one playing the others once and the winner to be decided on points. But Argentina beat Brazil in the last scheduled match on 30 January, giving them identical records of four wins and a loss to finish level at the top of the table. As a result, they met again in a playoff to determine who got the cup. Playing in Buenos Aires, the match was scoreless through regulation, forcing it into extra time. There, nineteen year old de la Mata (pictured) scored in the 102nd minute to take the lead, then sealed the win with another goal in the 112th minute, setting the final margin at 2-0. Brazil disputed both goals and claimed that the Argentina supporters insulted their players with racist language, then threatened them as they tried to leave the pitch. As a result, the Brazilian press dubbed the match "the game of shame."